MOSCOW, September 16. /TASS/. Moscow and Tokyo do not give up seeking consensus on the issue of peace treaty, despite the fact that the parties have their nuances in approaches, Presidential spokesman Dmitry Peskov said in an interview with Rossiya 1 TV channel. "Let's proceed from the fact that the Japanese side confirmed their intention to move towards a peace treaty," Peskov commented on Tokyo's reaction to the proposal of Russian President Vladimir Putin to sign a peace treaty between the two countries. 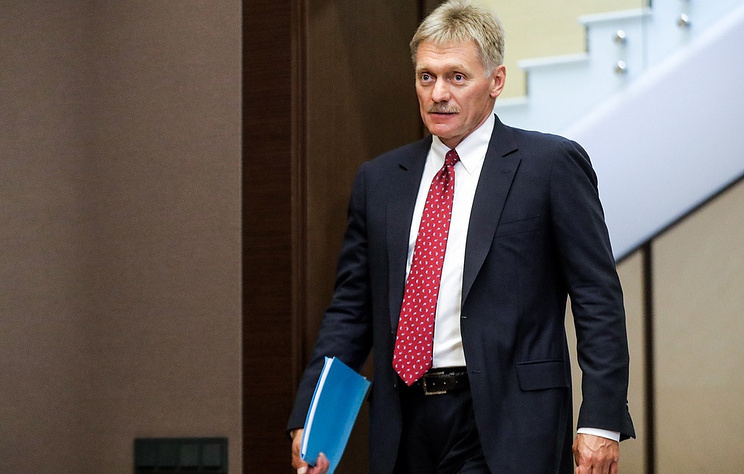 Peskov noted it is important that both sides recognize the absence of a peace treaty as a big problem and "no one refuses to continue negotiations to reach consensus." "Negotiations will continue, it is clear that the parties have their own limitations for various reasons, there are certain nuances in the approaches, but strategically Abe and Putin confirmed their intention to work towards a peace treaty," Peskov concluded. Japanese Prime Minister Shinzo Abe said on Thursday at a meeting with representatives of Japanese industry at the Eastern Economic Forum in Vladivostok that it is important for Japan and Russia to achieve an understanding on the issue of a peace treaty and to improve the environment. "It is necessary to develop the understanding of Japanese and Russian people and improve the environment to settle these issues," Abe said, according to Kyodo news agency. He noted that it is possible to sign the treaty by successfully implementing joint economic activities in the southern part of the Kuril Islands, as well as by developing trust. Referring to the territorial problem Abe also said that Japan and Russia need to end mistrust. "I am resolved to overcome mutually harbored suspicions and make a step forward," Abe added. Since the mid-20th century, Russia and Japan have been holding consultations in order to clinch a peace treaty as a follow-up to World War II. The Kuril Islands issue remains the sticking point since after WWII the islands were handed over to the Soviet Union while Japan has laid claims to the four southern islands. In 1956, the two countries signed a common declaration on ending the state of war and restoring diplomatic and all other relations, however, a peace treaty has still not been reached. Moscow has stated many times that Russia’s sovereignty over the islands could not be questioned. Earlier on Wednesday, Russian President Vladimir Putin said addressing the Eastern Economic Forum’s plenary meeting that Moscow and Tokyo should make a peace treaty without any preconditions before the end of the year.